The oil pump is vital to keeping your engine lubricated. If it's not functioning properly, other parts of your engine could wear and seize, costing you even more money. If your oil pump is starting to fail, there are a few things you might notice, including low oil pressure, higher operation temps, or an unusual noise. None of these symptoms should be ignored, even if your oil pump is in working order, as they could indicate another issue within your engine as well. 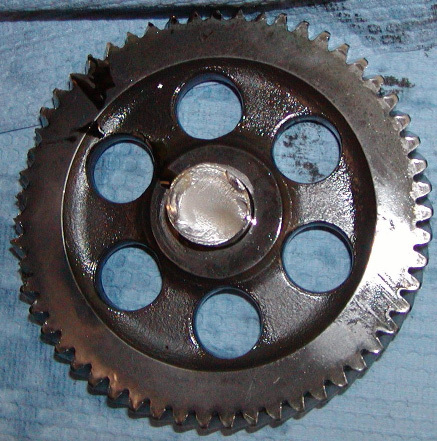 A common cause of oil pump failure is improper install techniques. Make sure the engine and all components involved in the install are completely clean and free of debris to avoid contamination issues. Follow the manufacturer install guidelines carefully to prevent harm to the oil pump and surrounding components as you install. The following pictures show what can happen if there is a bending break of the pump housing caused by the retaining bolts side loading the housing. 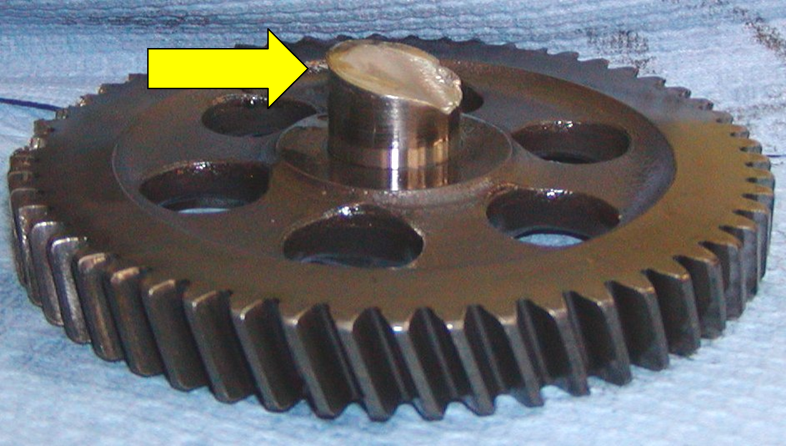 This causes it to crack, allowing the gear shaft to work its way loose, breaking the crankshaft gear. There is a buildup of lock tight visible where the pump meets the block, meaning there is a gap. There is an obvious thickness difference caused by this buildup. This is where the pump has been broken, with no visible inclusions. There are also no signs of overheating. The following pictures show why it is so important to clean all components during install. The damage likely could have been avoided if debris hadn't been left on the components. 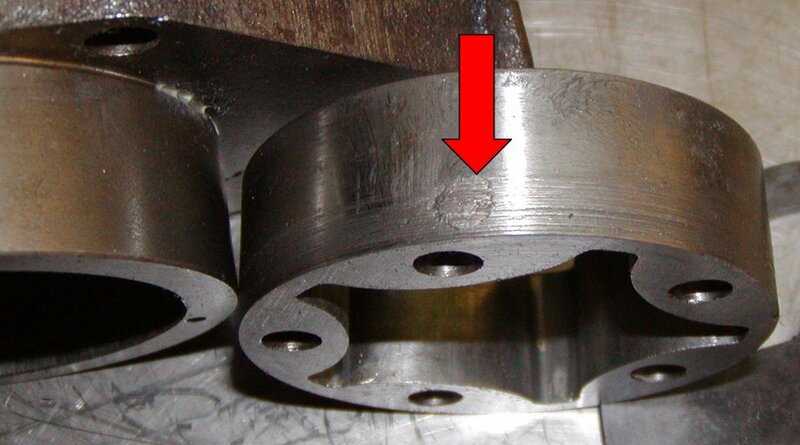 Damage caused by foreign material on the driven rotor. Channeling from contaminants on the inner housing surface. 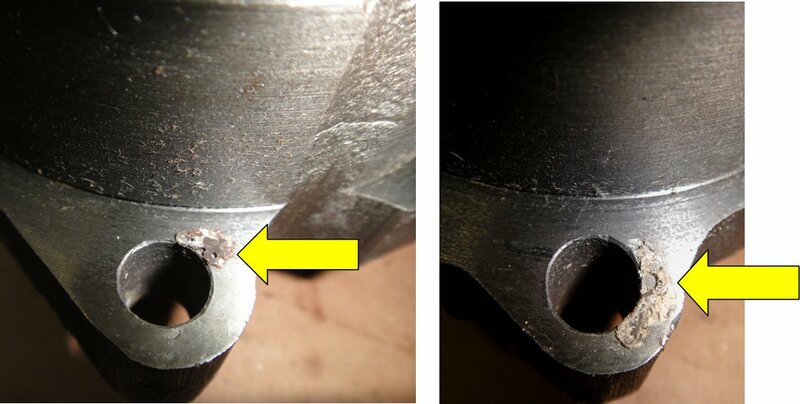 It's likely that improper lubrication from side loading contributed to the bushing failure in the following pictures. 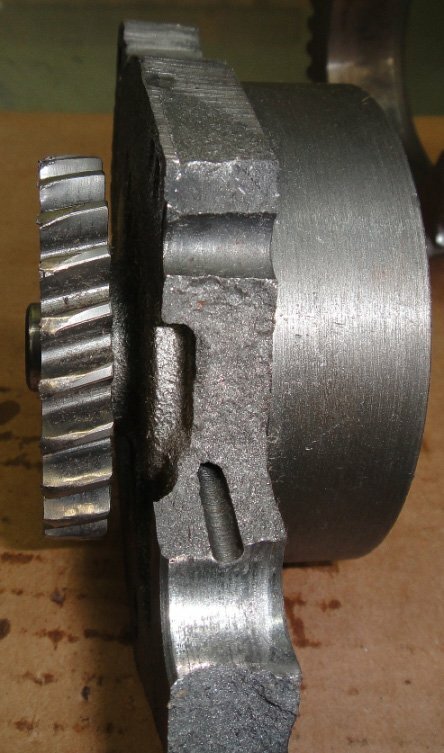 However, based on the near 45 degree angle of the break on the shaft, (a twisting break), rather than a clean break, the force of the engine caused the shaft to seize in the bushing and twist. It goes back to the pump not being correctly shimmed to give the gears appropriate backlash. The above pictures clearly show the angle of the break. 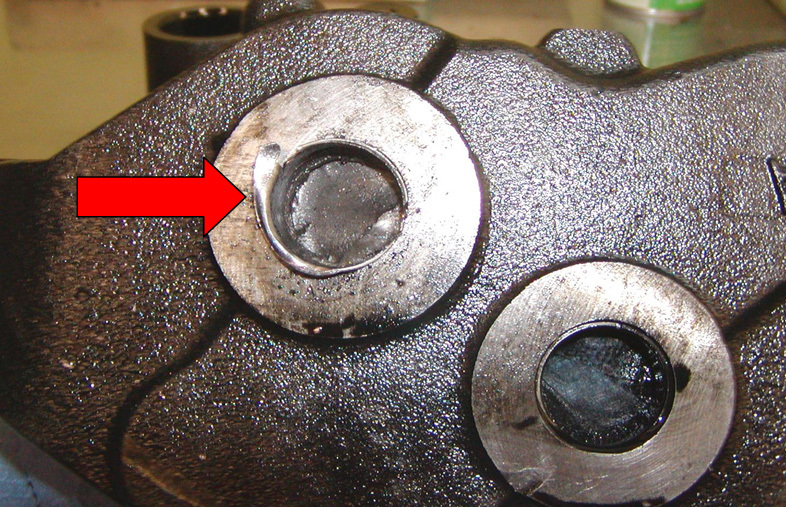 Here you can see the bushing failure in the pump housing. The internal part of the shaft is still stuck in it. As you can tell, correctly installing your oil pump is key to proper function, especially as a failed pump can cause failure in other parts of your engine as well. If you're replacing your oil pump, be sure to follow manufacturer's guidelines and clean your components carefully. You'll thank yourself later. Don't let a failed oil pump stop you! Give us a call at 844-215-3406 to speak with one of our certified techs, or request a quote online for more information on your diesel engine needs!